The talismanic midfielder’s future at Old Trafford had come under scrutiny when Jose Mourinho was at the helm but speculation has quietened since Solskjaer succeeded the Portuguese in December. 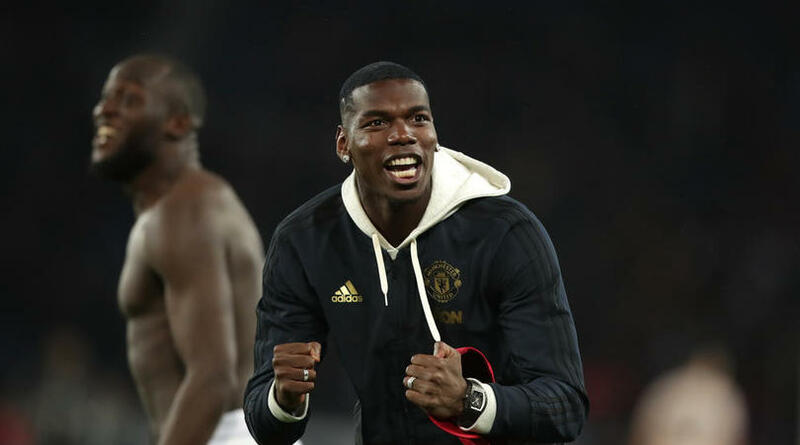 Pogba, though, recently remarked while on international duty that Real are a ‘dream’ club and those comments did not go unnoticed at the LaLiga giants, whose head coach Zinedine Zidane revealed that he liked his compatriot ‘a lot’ over the weekend. However, Solskjaer has spoken to Pogba about the issue and is convinced the 26-year-old World Cup winner has a major role going forward at United. Asked whether Zidane had irked him by speaking about Pogba, the United manager replied: “It doesn’t really concern me because my thought of action then is to sit down and speak to Paul. I’ve had my chat with Paul and we’re fine. Transfers are a hot topic as the season comes to a close, especially with Solskjaer now confirmed as United manager. The Norwegian’s fine caretaker spell meant they did not have to go through the process of finding Mourinho’s permanent successor, but work remains under way to appoint a technical director. Press Association Sport understands that the Portuguese was against appointing anyone in a director of football role during his tenure, but Solskjaer is clearly open to it and will have an input in the appointment. ‘I’ve got an input in most of the things now and my advice,’ Solskjaer said when asked about filling this role. ‘I’ve got a say and the communication between me and Ed (Woodward, executive vice-chairman) and the owners is very good. United are understood to have decided for a technical director rather than the director of football or sporting director title, with that position set to be filled before the start of next season. A number of individuals have been spoken to as the club look for the right fit, with the role taking in the first-team set-up and a longer-term view incorporating the academy pathways. Solskjaer has overseen 15 wins in 20 matches during his time in charge of United, reviving their hopes of finishing in the Premier League’s top four. He suspects his side will require a further 15 points from their seven remaining matches to clinch a spot in next season’s Champions League. Solskjaer said: ‘They want to be in the Champions League, they want to perform as well as they possibly can. Maybe they didn’t believe it themselves in November or December last year that we were in with a chance. United travel to Molineux on Tuesday night and will be hoping to exact revenge after being knocked out of the FA Cup by Wolves a little more than two weeks ago. The Red Devils enjoyed the lion’s share of possession in the quarter-final fixture but ultimately succumbed to a 2-1 defeat against opponents who have also beaten Liverpool, Tottenham and Chelsea this season. Solskjaer added: ‘I think Wolverhampton are a team that enjoy playing against big sides which their results against all the big sides have shown. ‘It’s up to the team in possession to do it quick with quality. That’s the difficult part in football: to be that constructive, creative.